Today, Treasuredays is launching its latest London treasure hunt - Tower Hill - and it's an absolute cracker, packed with interesting clues on a relatively short and compact route. From Tower Hill tube station, the route heads under Tower Subway, where you can see some remains of Roman Londinium, and along the walkway around the Tower of London. 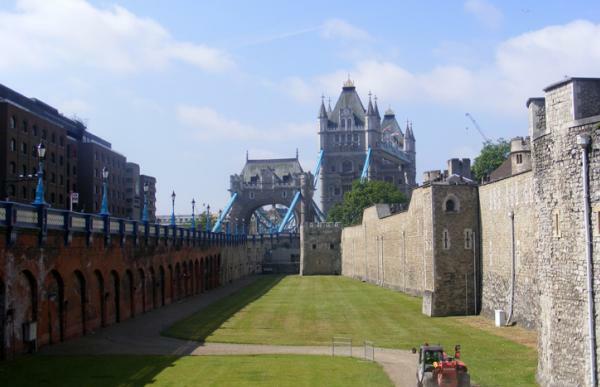 The treasure hunt also takes in Tower Millennium Pier and Tower Bridge before finishing in St. Katherine's Dock. The Tower of London is undeniably one of the iconic images of the City, but you don't have to go inside to enjoy a day out here. The main concourse leading to a riverside walkway is packed with information about the Tower's (often gruesome) history, and our big tip is to get there early to enjoy a waterside stroll around the tower before the crowds arrive. The many points of interest include the site of the Royal Menagerie, Traitors' Gate and Dead Man's Hole. This walkway naturally leads you under an arch beneath Tower Bridge. Fascinating in its construction, this bridge was the result of a competition between designers to come up with a solution to the problem of crossing the river without disrupting river traffic. Before it was built, there were no bridges downstream from London Bridge. 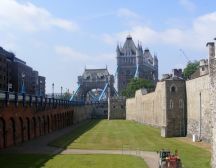 If you would like to time your treasure hunt to watch the bridge open for a ship, the daily schedules can be found at www.towerbridge.org.uk. There has been a dock here since 1125, and it was a prosperous and busy area between the Elizabethan and Victorian eras, with intriguing street names such as 'Cat's Hole', 'Dark Entry', and 'Pillory Lane'. Today there is a riverbus service every 15 minutes from St. Katherine's Pier, and Tower Hill tube and Tower Gateway DLR are a 5 minute walk away. Visitors on a Friday may also enjoy the gourmet food market at lunchtime - ideal for a picnic by the river (www.shepherdsmarkets.co.uk).